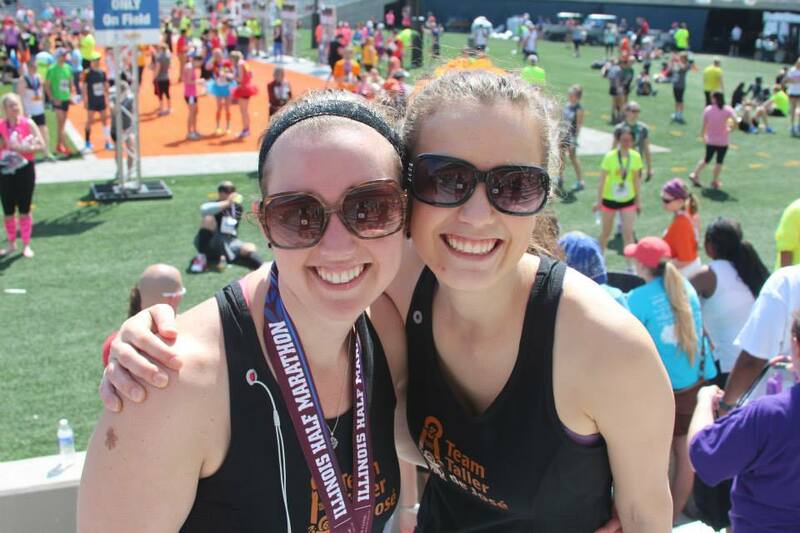 So, for my few astute observers and friends out there, you may have noticed that I posted about my goal to find 13 supporters to correlate with the 13 miles I would run at the Illinois Half-Marathon on April 26. 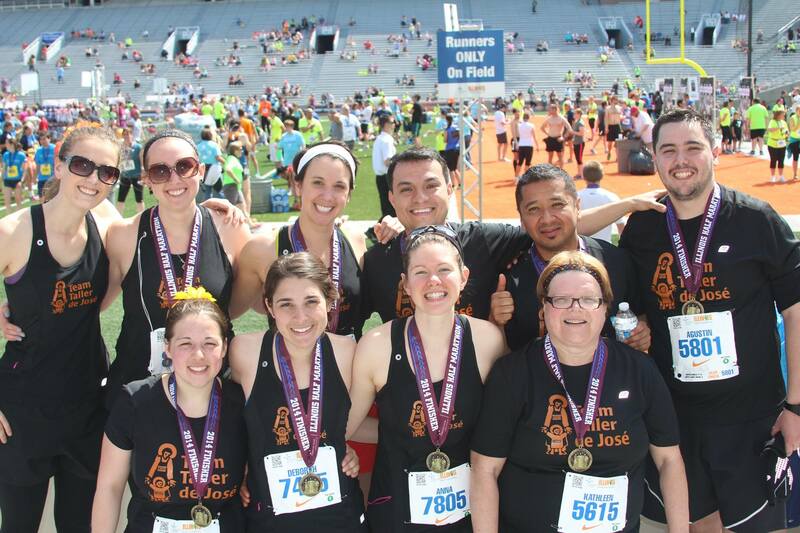 I then introduced who I was running for, Team Taller de Jose. And then I dropped off the face of the planet. Or at least the face of the interwebz. After having a headache for ten days straight, I finally got some other symptoms that helped me determine I had mononucleosis (yep, “mono”). It’s a virus and there’s nothing you can do for it but wait it out…. for two to six weeks This was just under two weeks before the race, so I knew that the race was no longer going to happen, but then I got sicker and sicker so I did absolutely nothing productive for two weeks, including updating to say I had to pause my fundraising at the 5 /13 point. THANK YOU to my five supporters- MaMa Ash, Nicole, John, Jessie, and Hillary. I’m so sorry I had to pause my fundraising before I could find the other 8 to join you and to reach my goal. Thankfully, by race day, I was capable enough to accompany Team Taller in a different manner than anticipated….as a FAN EXTRAORDINAIRE! I waited at Mile 2.5 with Running Buddy’s parents (aka “MaMa and PaPa Mayer”) and we watched all of Team Taller go by and I gave out high fives and collected the long-sleeve shirts they no longer needed. I then was able to bike over to the stadium where the finish line was and wait for all of Team Taller to cross that finish line at the 50-yard line hands up! 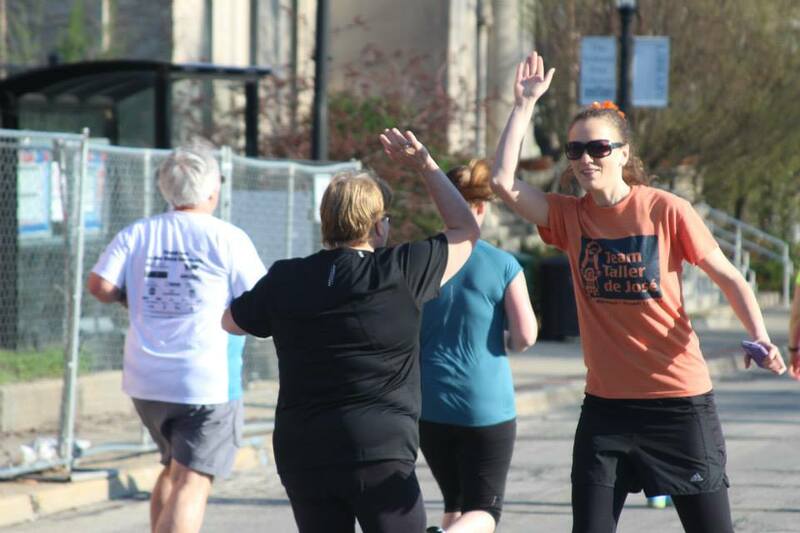 High-fiving the Taller de Jose Executive Director, Sr. Kathy Brazda, during her first half marathon! 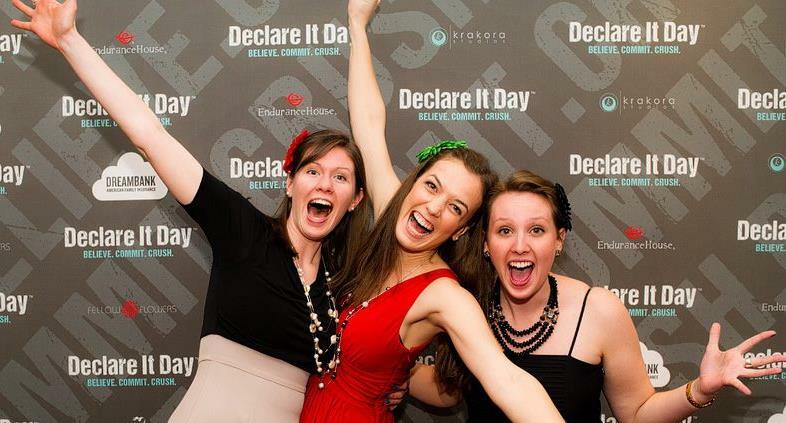 I may look pretty alive in that pic, but don’t be fooled, that was the most energy I had expended in 10 days! Then it felt like I ran the Half! But it was worth it. I saw almost every member of the team cross the finish line during an almost two hour time span (though two of the guys slipped by me because I didn’t know what their timing was). It was a small comfort to at least be able to watch the race, instead of being stuck on the couch like the previous weekend! 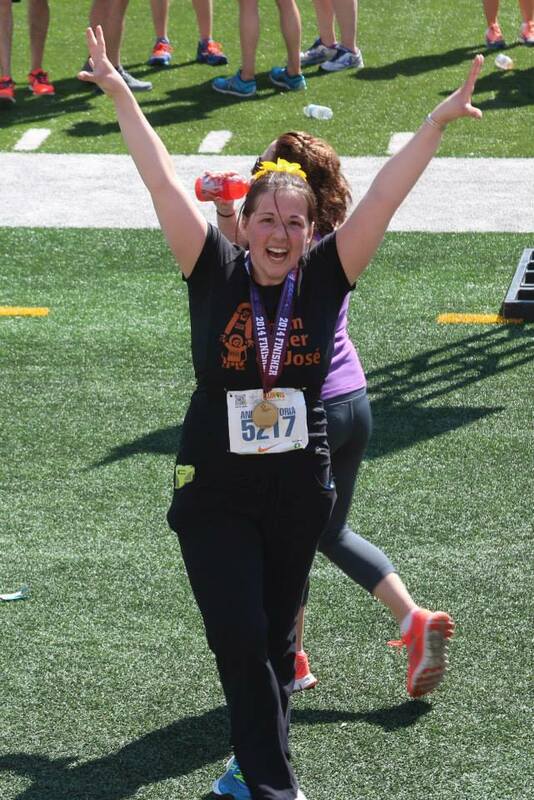 One of my roommates, Amici, after completing her first half marathon!! 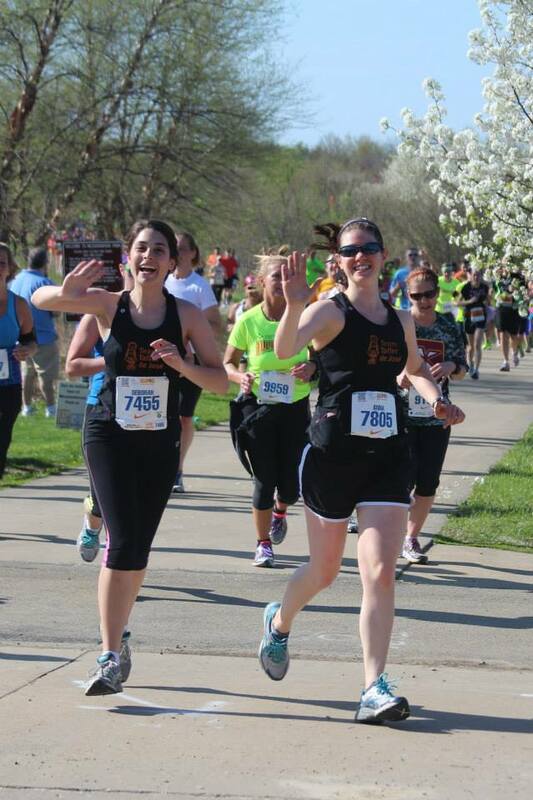 One of my college roommates and dear friends, Marissa aka “MoMo.” after finishing her first Half! So, back at the beginning of February, MoMo, Running Buddy, and I went to this running/friend/women/encouragement event in Madison, WI, where MoMo lives. 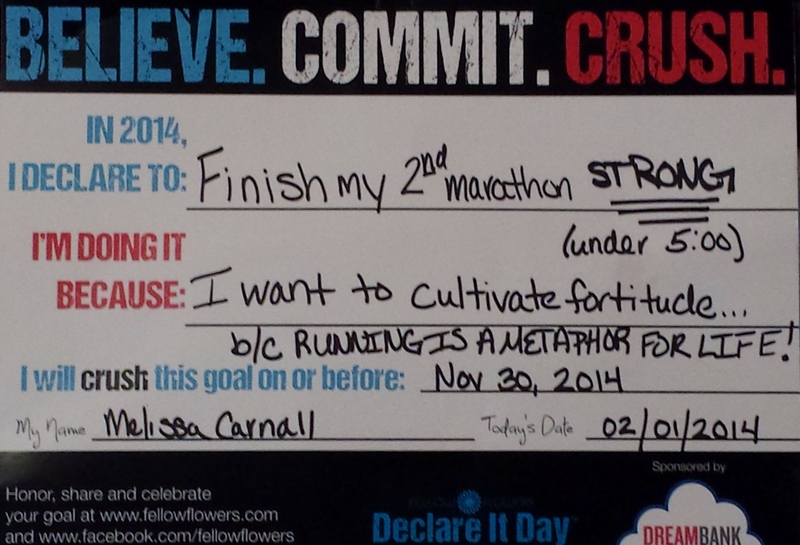 It was called “Declare it Day” with Fellow Flowers so we all “declared” a running goal for the year (or longer). MoMo has already completed hers! See above pic of us after she completed her first half marathon! She rocks, and I am so proud of her. I GOT INTO THE CHICAGO MARATHON!! I will be finishing my 2nd marathon STRONG on October 12, 2014. I may not have been able to complete my goal above of finding 13 supporters for the half marathon thanks to mono, but I will continue the spirit of that goal by running for Team Taller in the full marathon. I will accompany them through my running as they accompany others in their ministry. We will be a tiny 4-person team probably. Tiny, but mighty! And unofficial! Team Taller is not an official charity registered through the race, so that’s why I had to get in through the lottery, instead of receiving a guaranteed entry by signing up through an official charity. And thanks for journeying with me. Stay tuned for all the twists and turns that will for sure be a part of this road I’m running!